University of California Press, 9780520288027, 250pp. Player pianos, radio-electric circuits, gramophone records, and optical sound film—these were the cutting-edge acoustic technologies of the early twentieth century, and for many musicians and artists of the time, these devices were also the implements of a musical revolution. 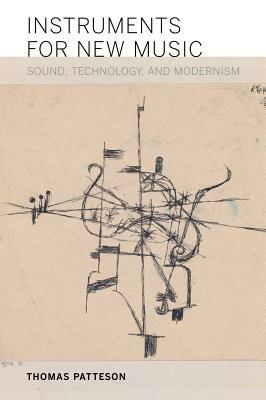 Instruments for New Music traces a diffuse network of cultural agents who shared the belief that a truly modern music could be attained only through a radical challenge to the technological foundations of the art. Centered in Germany during the 1920s and 1930s, the movement to create new instruments encompassed a broad spectrum of experiments, from the exploration of microtonal tunings and exotic tone colors to the ability to compose directly for automatic musical machines. This movement comprised composers, inventors, and visual artists, including Paul Hindemith, Ernst Toch, Jörg Mager, Friedrich Trautwein, László Moholy-Nagy, Walter Ruttmann, and Oskar Fischinger. Patteson’s fascinating study combines an artifact-oriented history of new music in the early twentieth century with an astute revisiting of still-relevant debates about the relationship between technology and the arts.